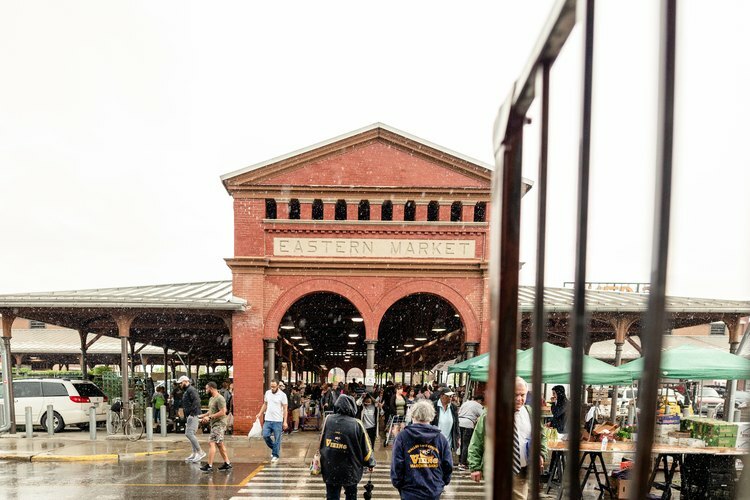 Located just north of the Detroit River, Eastern Market has been an industrial and cultural pillar of downtown Detroit for over a century. Established in 1891, the Market was originally a hub for the sale of hay and wood; today it is the largest historic public market district in the U.S., with more than 150 businesses selling goods from produce to jam to flowers. The Market's cultural significance stems from its role as a community gathering space and from the world-class artists who have lived and worked nearby. Eastern Market is famous for its extensive mural art. The Murals in the Market project aims to use "public art as a vessel" to inspire and encourage community engagement. 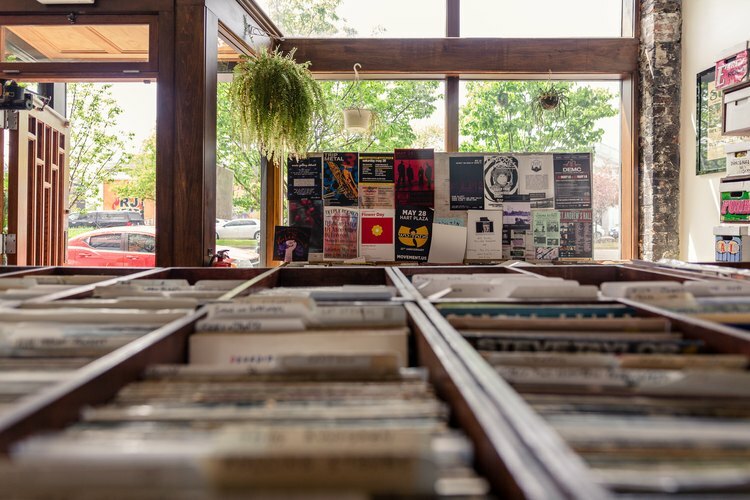 At one historical moment in the vicinity of Eastern Market, you might have run into Billie Holiday, Duke Ellington, or Ella Fitzgerald performing near Hastings Street in one of the many clubs in the Paradise Valley business and entertainment section. 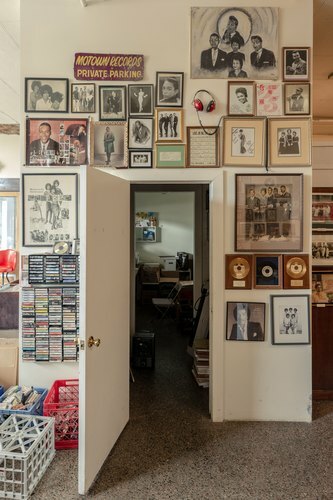 At another, you might have brushed shoulders with Motown legends Diana Ross and Smokey Robinson, or the actress Lily Tomlin, all of whom at one point lived in the nearby Brewster-Douglass housing projects adjacent to the Market and the Black Bottom residential neighborhood. Eastern Market was once largely interconnected with these predominantly black neighborhoods until the City of Detroit demolished the areas in the 1960s as part of an "urban renewal" project, replacing them with the Chrysler freeway (a section of Interstate 75). 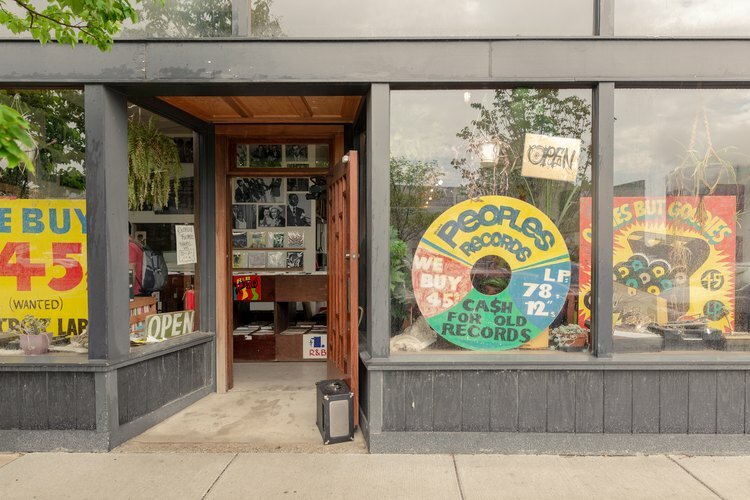 The Market has struggled to re-establish connections to its surroundings ever since: As the Eastern Market development plan for 2025 (EM2025) makes clear, "the District became isolated by the Chrysler [freeway] and more recently by massive migration away from Detroit." By 2013, however, an effort to reconnect Eastern Market to Downtown and Midtown had begun. A view across Adelaide Street at one of the Market's many sales sheds, which were first built in 1891. 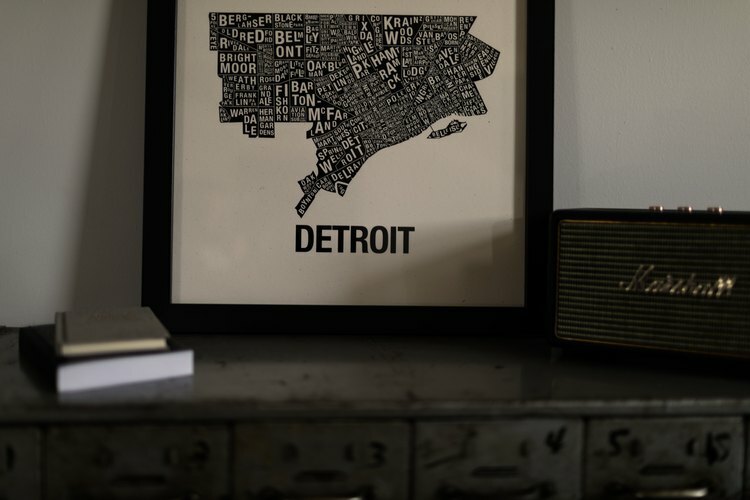 Despite wave after wave of deindustrialization that followed the freeway construction, Eastern Market has remained perhaps the one constant source of community, culture, industrial production, jobs, fresh food, and vitality across Detroit's past century-plus. 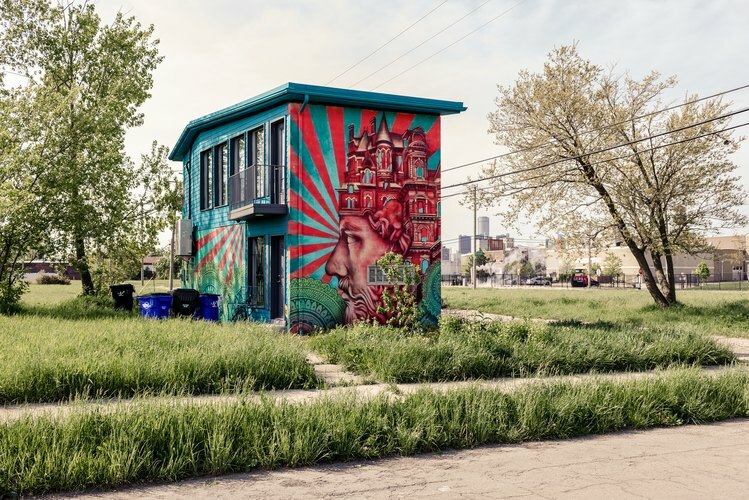 A recent resurrection of investment and property values has also interacted strangely with Detroit's history of large-scale industrial atrophy and population loss, providing the unique context for Eastern Market's tale of survival in the 20th- and early 21st centuries. 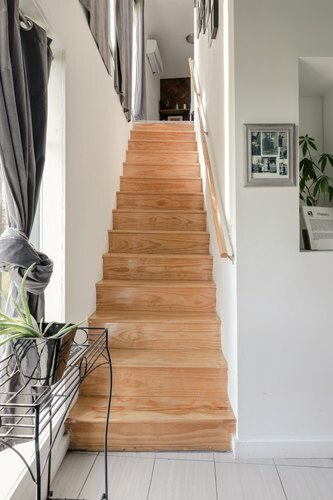 As a brief search on Redfin demonstrates, the real estate boom surrounding the Market is unpredictable and uneven: to the west, in the Victorian-style Brush Park neighborhood, new high-rise, three-bedroom apartments list for nearly $700,000; to the northeast, some neighborhood parcels are available for $9,000. 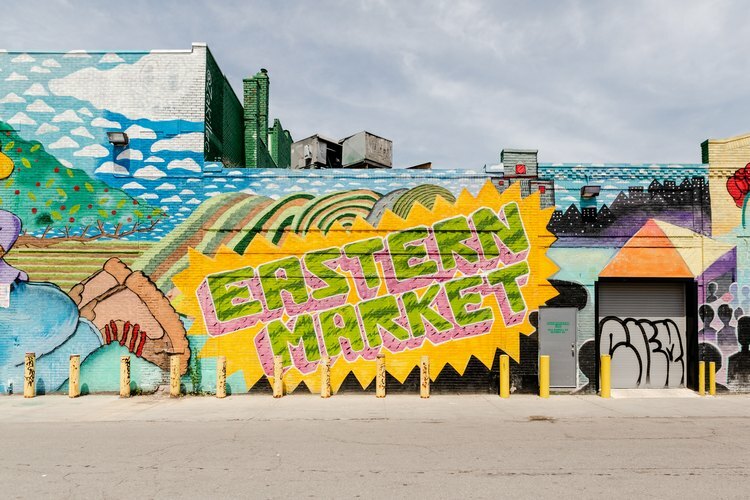 Eastern Market has survived the lean years in part because Detroit's historically weak real estate market offered protection from investors who have replaced industrial space in other cities with new enclaves of bars, boutiques, and largely unaffordable housing. Tiffany Brown, a former resident of Detroit's public housing who received her master's degree in architecture, has had the unique experience of both overseeing the demolition of the Brewster-Douglass Projects (where many residents were relocated after the freeway construction) and helping rebuild the publicly funded Gardenview Estates (a similar public housing development in Detroit where she grew up). As property values near public housing skyrocket due to proximity to Comerica Park, Ford Field, and Little Caesars Arena, Brown wonders whether downtown's resurgence will exclude current residents: "The former location of the Brewster Douglass Homes, for example, has now become a multi-million dollar piece of real estate; it's one of the most sought-after pieces of property downtown. For the longest time it was one of the most forgotten places in the city, a dumping ground riddled with graffiti...what will happen to the former residents who currently live across the street when they develop all that land? How long until they will be displaced?" With an eye toward expanding the Market while avoiding the dislocations of the past, the Eastern Market Corporation has worked with the Olin Studio, with funding from the John S. and James L. Knight Foundation, to draft and implement a growth strategy that will update industrial food spaces and expand the Market into nearby neighborhoods by 2025. The Market's distinctive sales sheds went up in the late 19th century at their current location, just north of Gratiot Avenue east of Rivard, evolving into a major food distribution hub after WWII. Food businesses in the Market are now outgrowing the facilities, many of which were built for a previous era; at the same time, expanding industrial warehouse construction threatens to introduce unwanted traffic, noise, and visual pollution into the surrounding residential areas. The neighborhoods just north of Eastern Market illustrate the tension between the Market's joint aims to protect its identity as an industrial food distribution hub and to reintegrate the Market with its surrounding neighborhoods (many lie in ambiguous territory where it is unclear where industrial production ends and residential neighborhoods begin). Entrepreneurs in this area, like Jason Lindy and Darin McLeskey, have combined residential, cultural, and event planning uses on their property to try and alleviate some of these tensions. 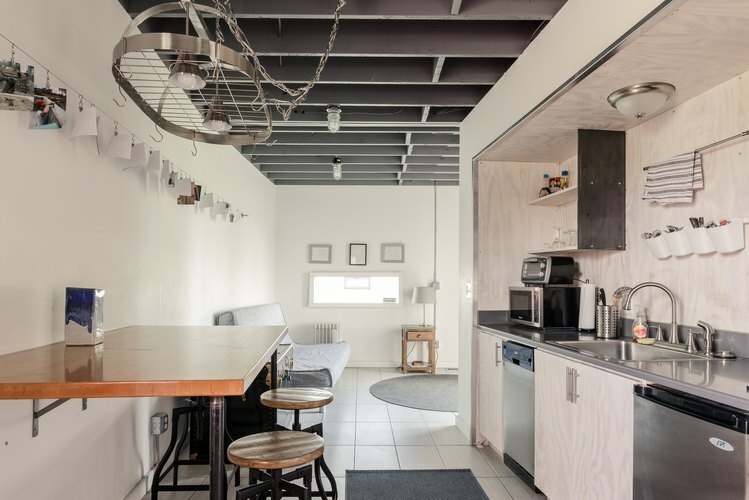 Purchasing property at 2126 Pierce Street in 2013, Lindy and McLeskey renovated it into a fully operating Airbnb rental that hosts not only potential Eastern Market visitors but also art exhibits and music performances. The house counts among its neighbors several contributors to the local art and artisan culture, including Germack's coffee and nut roasting plant and the artist Carlos Nielbock; the house also features a variety of Detroit products, such as lumber reclaimed from demolished houses that adorns the diagonally patterned second-floor wood wall and the bedframe in the loft crafted by Heidelberg Project collaborator Ray Spectrum. 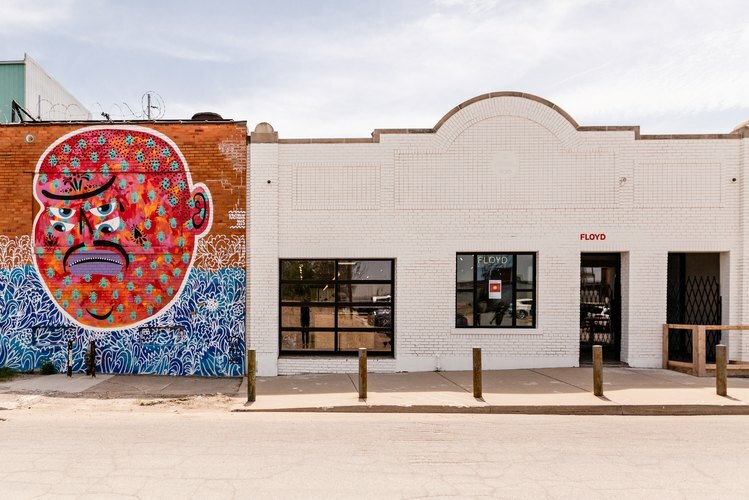 Outside, Beau Stanton's mural on the house's north wall reflects the interconnected nature of Eastern Market and the Brush Park neighborhood, just to the west across I-75. The mural is a memorial to a large Brush Park house that was demolished rather than remodeled. 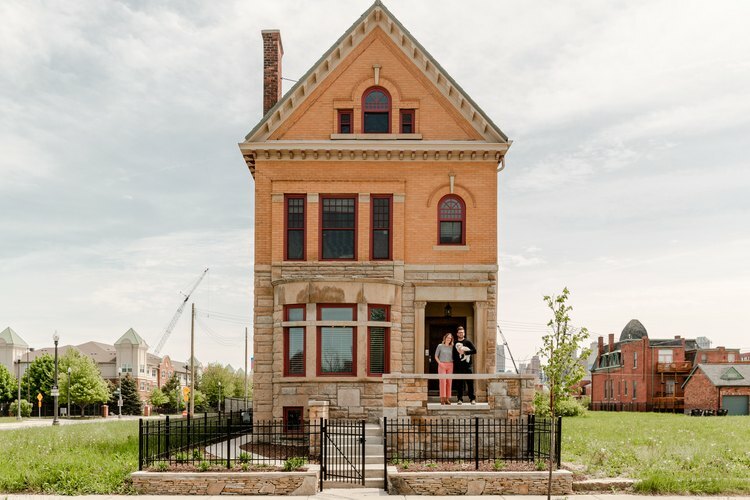 Before it was separated from Eastern Market by freeway construction, Brush Park was developed in the 19th century as a residential neighborhood for wealthy citizens of Detroit, characterized by rows of Victorian mansions. 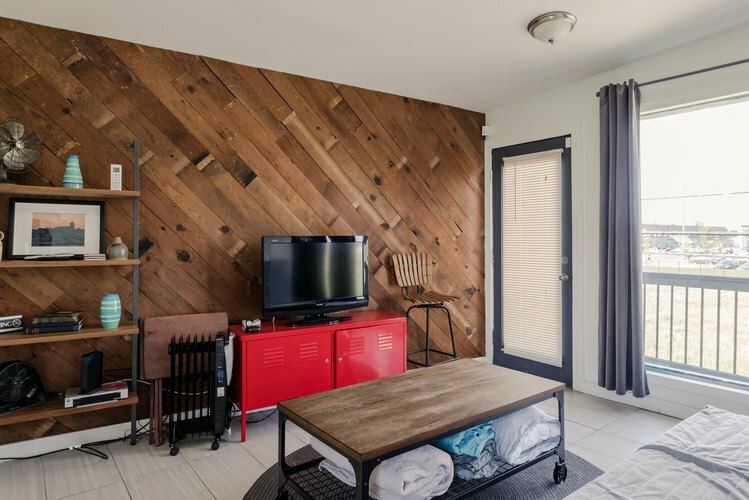 As migrants came to Detroit throughout the 20th century to work in automobile factories, the spacious homes were "sliced and diced" into rental units for working class tenants. A variety of factors, including the razing of adjoining neighborhoods and racial tensions, contributed to the rapid decline of the area during and after WWII, but an investment resurgence that began in the '90s continues today. 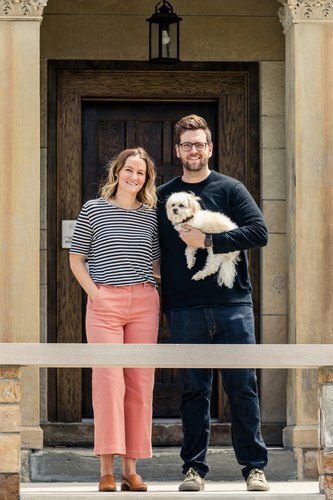 In our tour of a historic Brush Park mansion that has been renovated into a rental property, Airbnb superhosts Christa and David recalled that Brush Park was initially divided by French settlers into ribbon farms and was once known as "Little Paris." 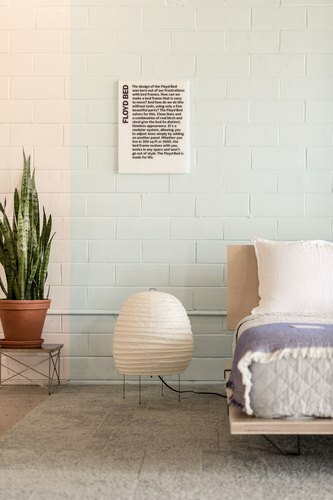 A third-floor rental loft and a first-floor apartment are stocked with local products ranging from New Order coffee to Detroit Grooming products to Detroit Rose candles. 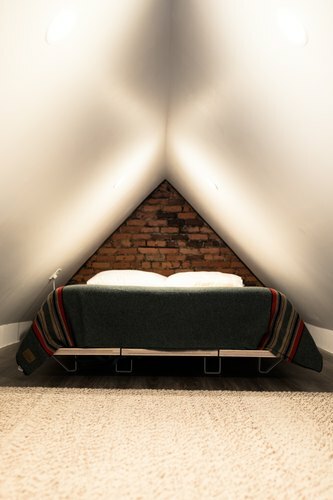 Within the proper confines of Eastern Market itself, Jim Pellerito has established one of, if not the only, mixed-use apartment, event, and artistic residency spaces — all the while preserving the historic Eckhardt & Becker Brewery complex (the tallest building in the Market). 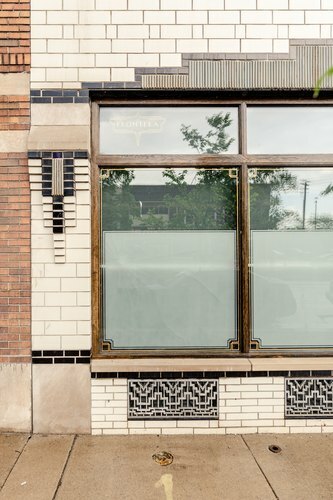 Pellerito, who has been in the Eastern Market food business since the 1960s, bought the building in 1996 and began constructing and converting spaces into loft-style apartments. 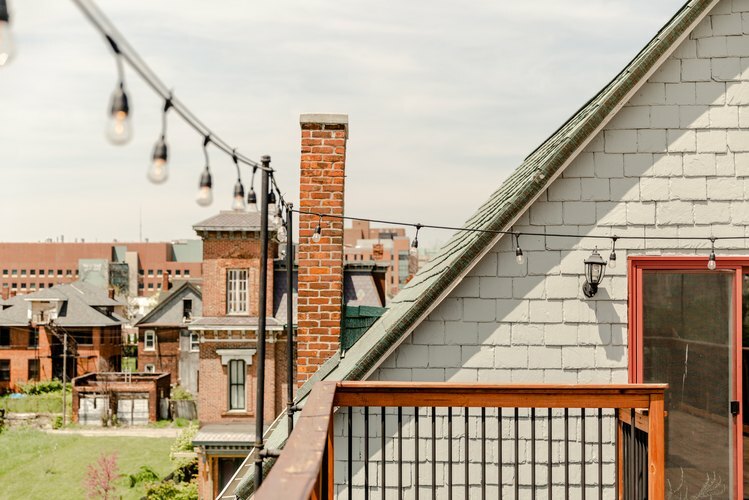 The E & B Brewery Lofts feature 27 units, with the rooftop serving as an event venue in the summer months while the first floor of the building hosts an artistic residency "dedicated to providing visual artists the freedom and space to create." The art house "supplies eight different local artists every three months with the tools and materials they need, offers them studio space and showcases their work in the gallery." 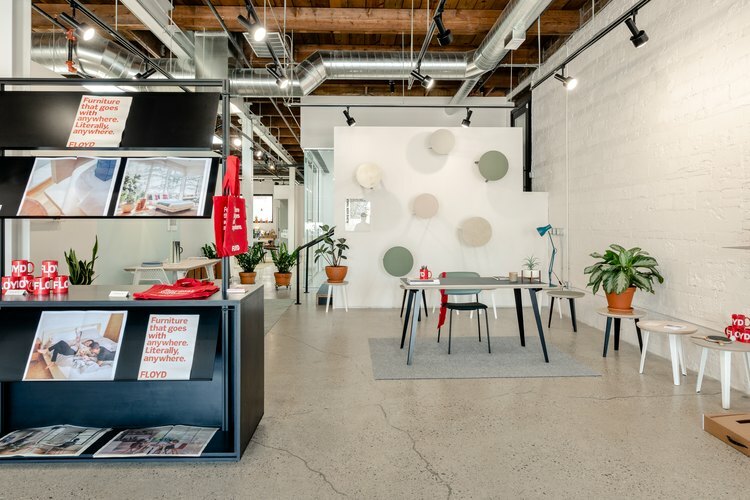 Down the street, the Detroit-based furniture company Floyd moved into its new Eastern Market showroom in March 2018. 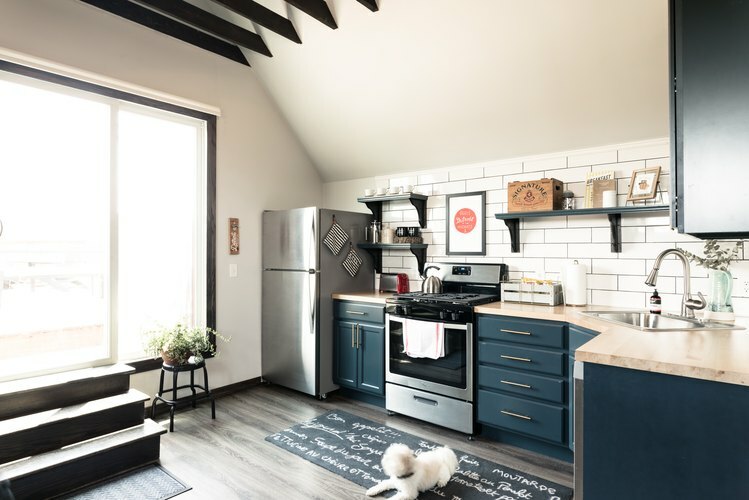 In choosing the location for the new showroom, Floyd representative Lauren Kase emphasized the Market's unique character: "Eastern Market is a super active neighborhood with the oldest open-air market in the country. We love the energy over here and wanted to be a part of it." Operating out of Detroit allows Floyd to stay closer to its manufacturing partners, and rather than having its inventory "float for months on the ocean," Floyd can distribute to their core markets weekly, allowing for same-day delivery. 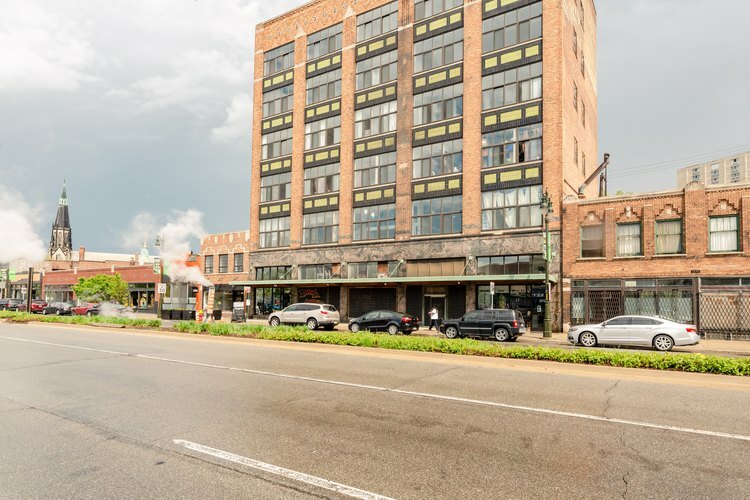 Progress with the Eastern Market 2025 plan has also contributed to a resurgence of business on Gratiot Avenue, a main thoroughfare across the street from the Market that connects with Detroit's East Side and more far-flung suburbs. 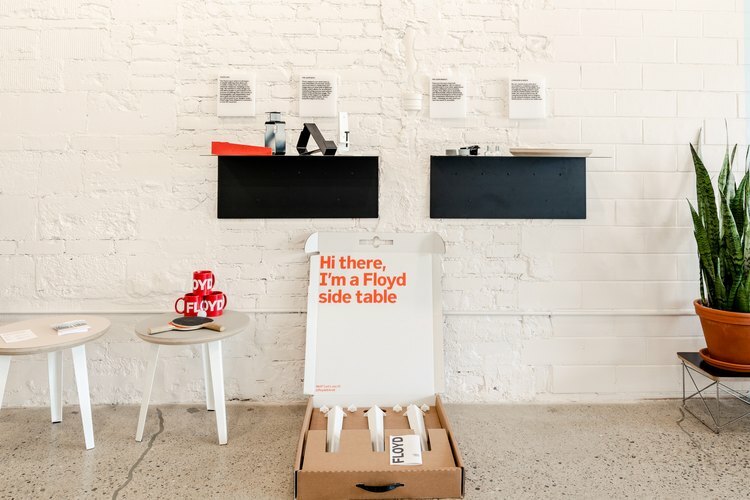 In 2013, Rebecca Mazzei and Joel Patterson opened Trinosophes, a cultural hub that can morph from a cafe in the morning to an art gallery and library during the afternoon to a performance space for experimental music in the evening. 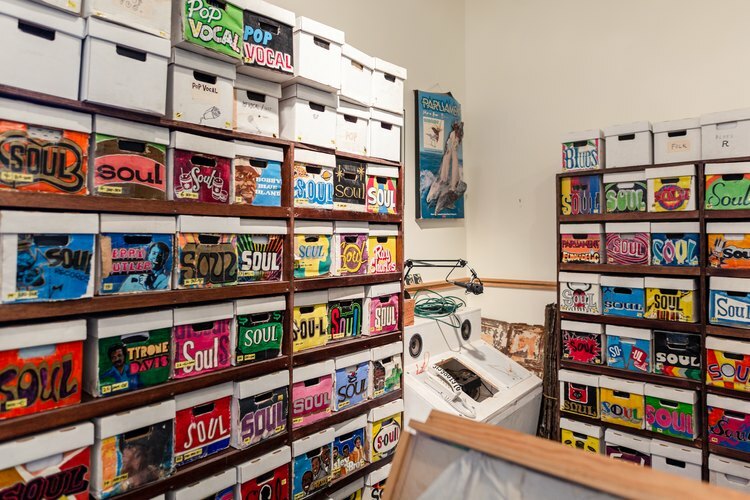 Located in an airy, converted spice warehouse that was once integrated with other industrial parcels in Eastern Market, the Trinosophes dining room is connected to its partner business People's Records, which features a healthy stockpile of Detroit, Motown, and avant-garde music. 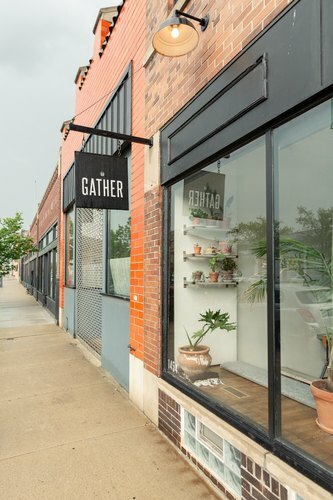 A stretch of eateries and cultural destinations is driving the resurgence of Gratiot Avenue, the main thoroughfare connecting the Eastern Market to Detroit's East Side. 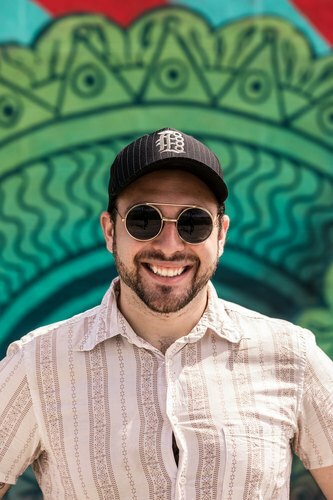 Reconstructing Eastern Market, Brush Park, and downtown Detroit into a cohesive whole is crucial for the continued success of the businesses in and around the Market, which depend on pedestrian traffic from local neighborhoods. Utile's plan to expand pedestrian-friendly greenways resonates with the municipal government's endorsement of the "20-minute neighborhood" concept as a framework in which "folks can walk or bike to everything they need outside of work." Elsewhere, recent efforts to demolish and replace certain stretches of downtown Detroit's freeway system are underway, and the Link Detroit initiative is a multi-million dollar infrastructure project that has established cycle and pedestrian connections between neighborhoods like Brush Park and Lafayette Park. 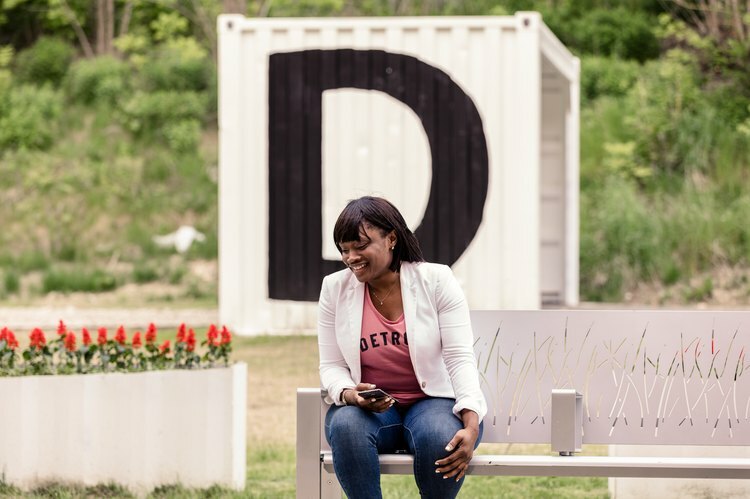 Link Detroit also includes the completion of the Dequindre Cut Greenway, a below-street level recreational path that opened to the public in May of 2009; like Eastern Market, the greenway is well-known for its examples of urban artwork and graffiti, and the half-mile extension that officially opened in April 2016 allows pedestrians to take the path from the downtown riverfront into the heart of the Market. Entrepreneurs mentioned to us in interviews that greenways like the Dequindre Cut help motivate investment because a direct line to the riverfront and downtown sustains investment energy for mixed-use properties further inland. Given the checkered history of neighborhood construction, urban planning, and modernization in the downtown Detroit area, implementing a plan as complex as EM2025 requires an inclusive approach — one that incorporates the long history of Detroit's neighborhoods into the future of the Market. To do so, an important player will be the architectural firm Utile, which is working with the Detroit Economic Growth Corporation, the Detroit Planning and Development Department, Eastern Market Corporation (EMC), and The Nature Conservancy to develop a comprehensive framework to implement EM2025 and reintegrate Eastern Market with its neighbors. As Drew Kane of Utile told us, for example, their firm is developing a "form-based code" for the future buildout of Brush Park that aims to be "sympathetic to the historical character and scale of the neighborhood and appealing from a market perspective." 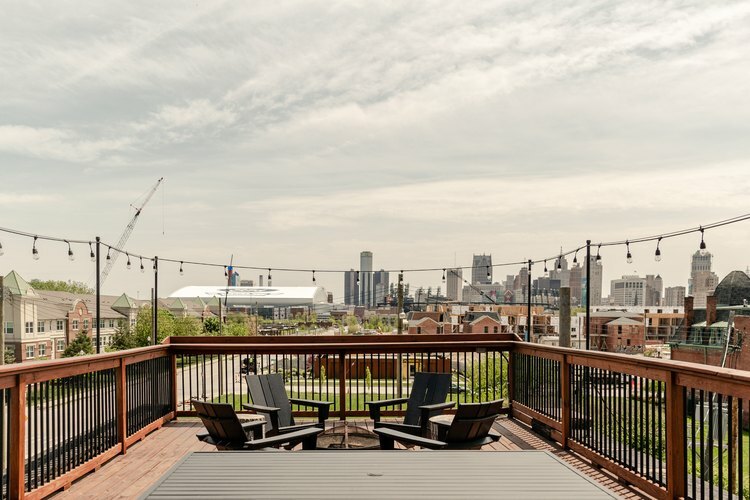 The form-based code appears poised to shape the plans of other large developers like Dan Gilbert's real estate firm Bedrock Detroit, which includes Brush Park's City Modern among its major projects. In the forthcoming book Mismatch, author Kat Holmes draws on insights from architect Tiffany Brown and others to describe how design can lead to exclusion; inclusive design methods, by contrast, can emphasize the creation of elegant solutions "with rather than for excluded users." 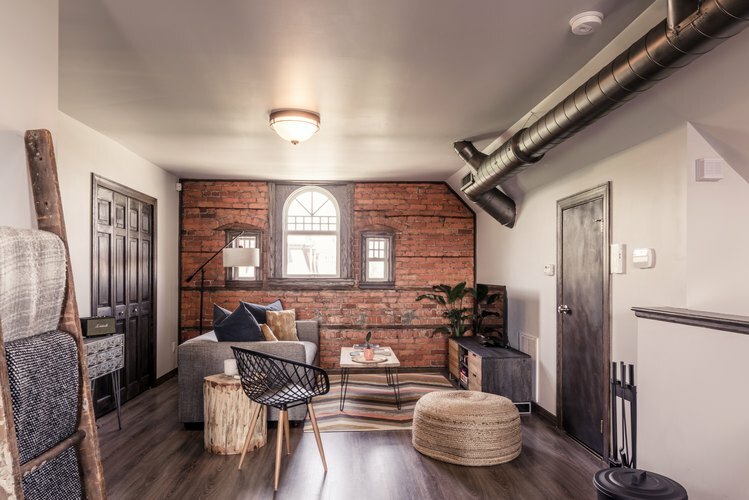 In an urban area that has historically been reshaped by external influences, one-size-fits-all models, and grand visions involving extensive citizen displacement, it is encouraging to see Eastern Market's inclusion of residential neighbors to the northeast in their expansion plans, preservation of historical structures, and plans to re-connect with other parts of the city. Following through on this approach will be an essential element of Eastern Market's continued resilience in its next phase of growth.